Inspired by this 1987 G.I. Joe art, it occurred to me just how many G.I. Joe and Cobra characters were woefully ill-prepared for the rigors of battle. We recently recruited 12 of the most respected G.I. 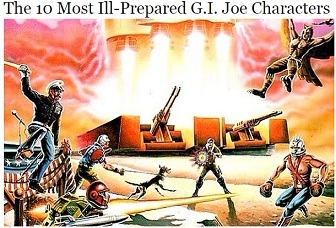 Joe bloggers, podcasters & collectors and tasked them with individually ranking the greatest G.I. Joe characters of all time. When 80s cartoon and toy properties are rebooted as live-action feature films today, there are certain visual designs that will never make the conversion to the big screen (call it the Nolan Bat-verse effect). Film Divider is reporting that the Crimson Twins Tomax and Xamot will be featured in the third G.I. 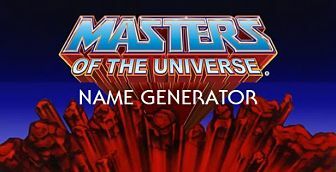 Joe film, and to also expect an appearance by the leader of M.A.S.K., Matt Trakker. Whatever you do, don’t try to blackmail Storm Shadow. If there’s two things we MAYBE love as much as (deep breath) Three’s Company, Soundwave, Deadpool, ¡Three Amigos!, Golden Girls, Beast Man, The Walking Dead, M.U.S.C.L.E., Silverhawks, TMNT, Garbage Pail Kids, WWE, comic books, Star Wars and Voltron- it’s Chris Pratt and G.I. Joe.